CATO is the newest restaurant and bar that has recently become the new resident of the historical building where the first OCBC Bank was located. CATO offers modern Asian cuisine, with a holistic range of over 60 small batched craft beers and spirits from around the world. Our dinner at Cato started with some small plates. 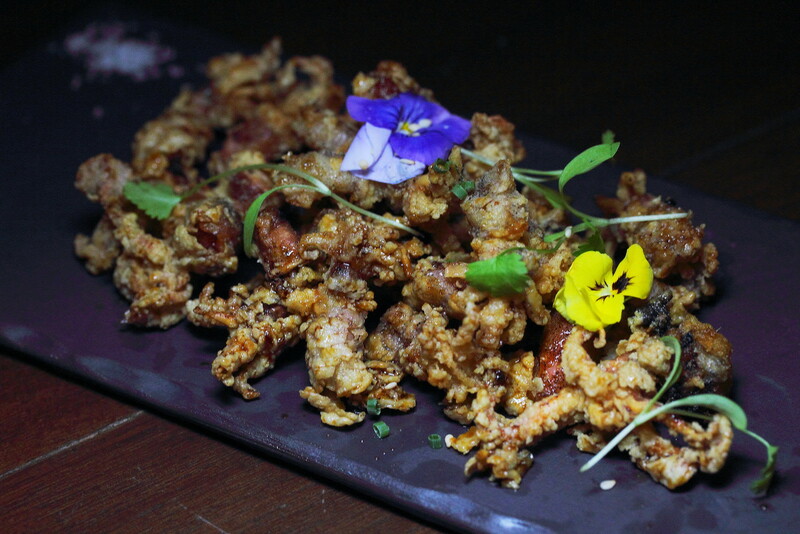 We started with the popular Crispy Squid ($12) which comes in a sweet and salty Thai style glaze. The delectable nip is very addictive, goes well with the beers and spirits. The Prawn and Spinach Wanton ($10) looks like blooming flower on the plate. 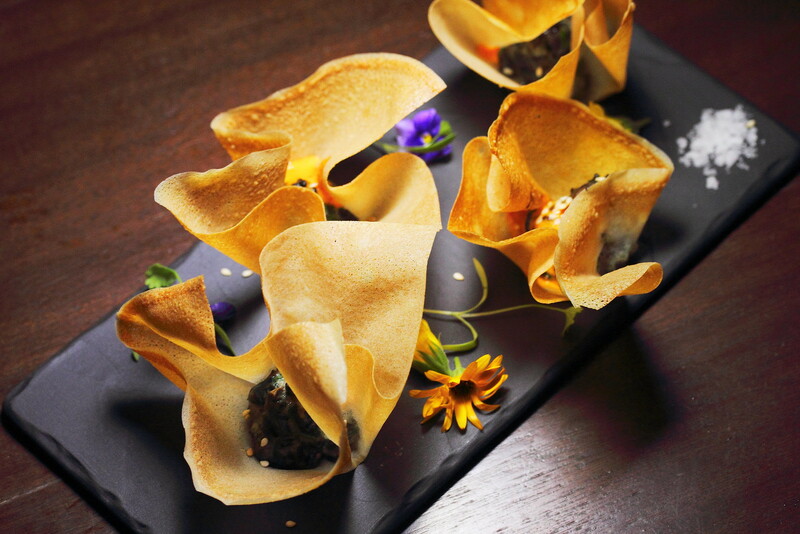 The golden baked wanton parcels are stuffed with prawns, spinach and mushrooms. While the crackling wanton skin is outstanding, the stuffing did not manage to excite my taste buds. 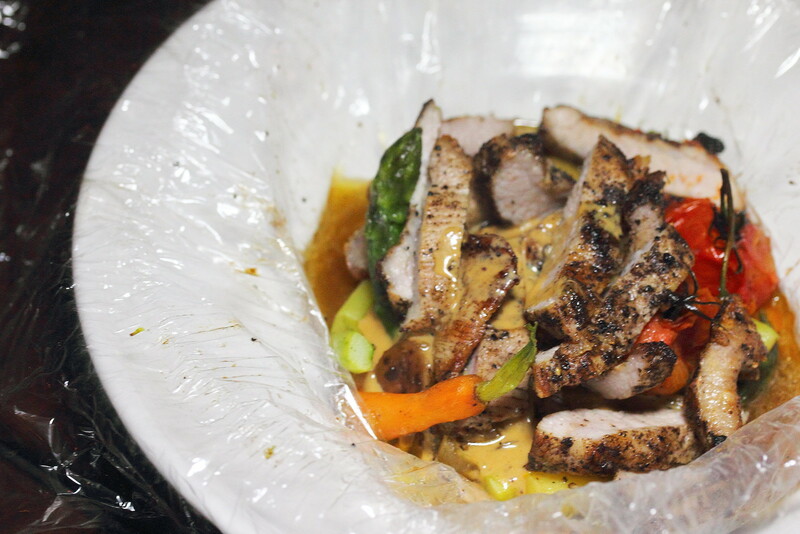 In addition, the wanton parcel is quite hard to handle and eat. 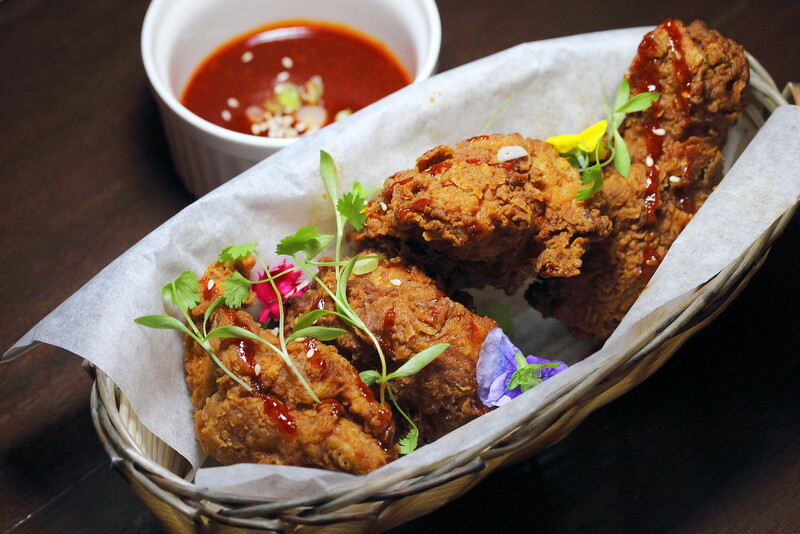 With the number of Korean restaurants opening around Singapore selling the popular fried chicken, the rendition of the KFC Korean Fried Chicken ($16) at Cato is as good or even better than a few places. It also comes with a sweet and mildly spicy gochujang dipping. My high expectation of the Mentaiko Mac & Cheese ($15) turned disappointment as I could not traced any mentaiko in the multi layers of flavours. Saying so the Southern comfort is quite enjoyable with the creamy cheese, aburi salmon cubes and tteok (korean rice cake). 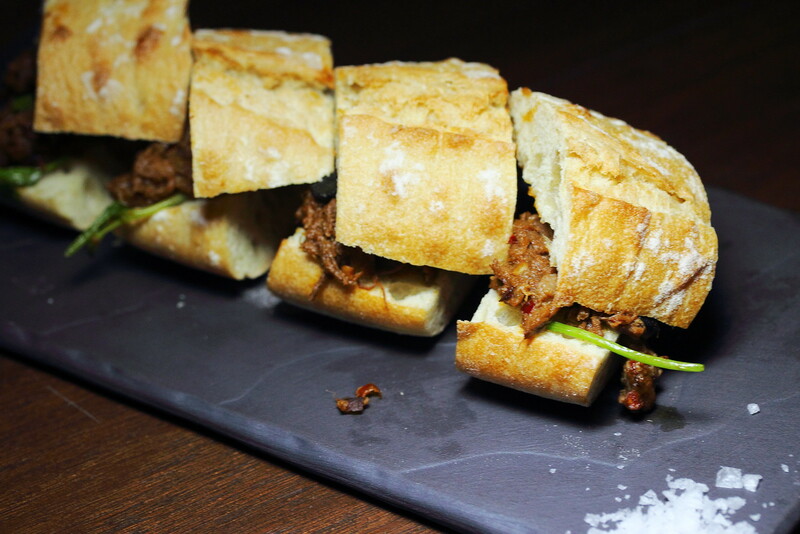 The flavoursome beef is braised in black bean sauce and served in between bread. The Mini Braised Beef Sandwiches ($16) will comfort the hungry stomach, for a substantial bite. 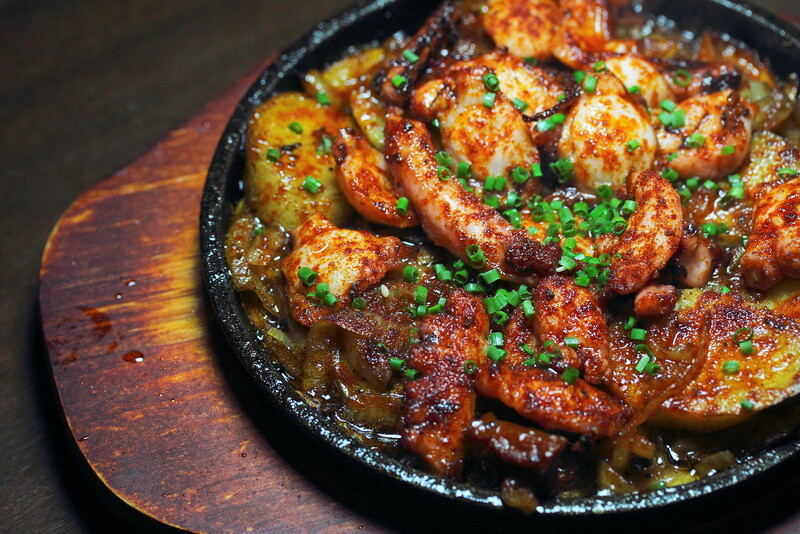 One of my favourite small plates is the Sizzling Hotplate Octopus ($18). The flavour is straight forward and robust amid the sun dried tomatoes and roasted new potatoes. The grilled octopus was also cooked to a nice tender texture. Moving on the big plates, the Twice Cooked Iberico Pork Cheek ($30) surprised me with the tender pork cheek slices which have been grilled and steamed, this is hold together by the rice wine mustard sauce. 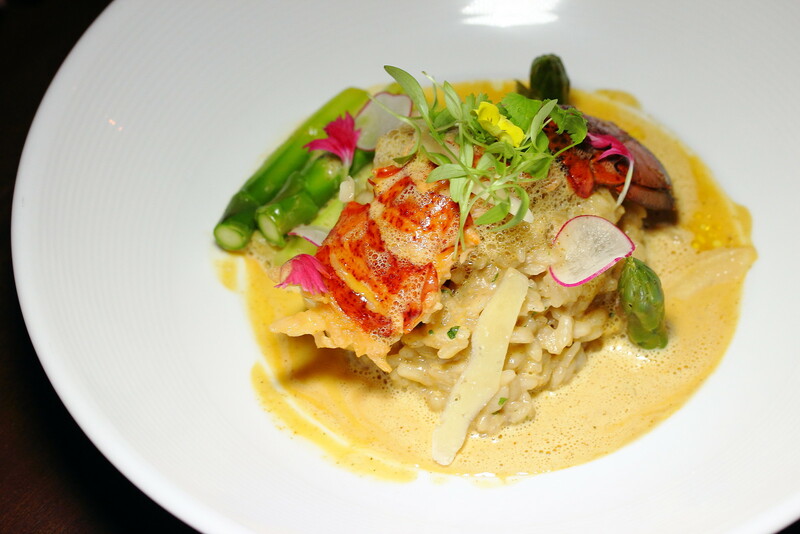 The Bangkok Lobster Risotto ($32) comes with sous vide lobster, tom yum flavoured risotto, seasoned vegetables and lobster butter. 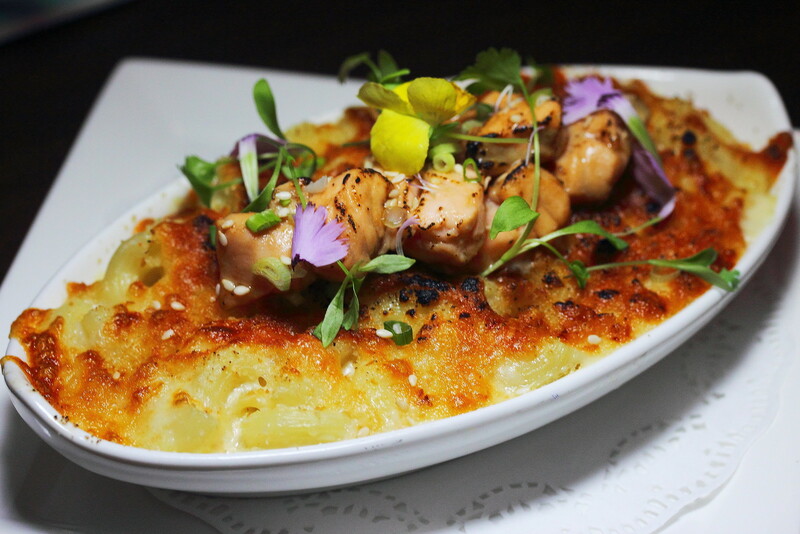 It is a very beautiful dish with rich robust and cheesy flavour. The risotto was also cooked al dente with an enjoyable bite to it. However I probably got myself lost in Bangkok as I was not able to taste any tom yum. 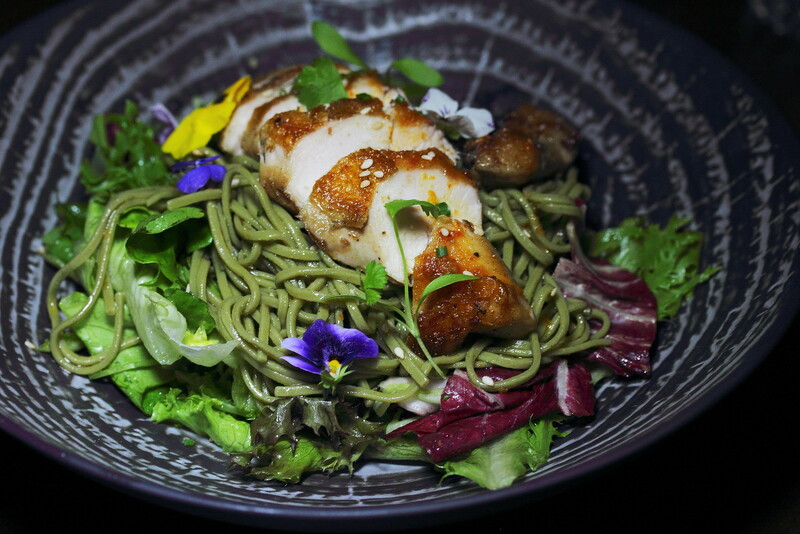 The Tea Smoked Chicken with Spicy Japanese Noodles ($20) comes with Chinese tea smoked chicken, soba, ghost chilli dressing, pearl tomatoes, garden greens and sweet potato chips. The tender chicken was the highlight, well infused with the tea fragrant. However the soba was kind of bland and all I can taste is the spiciness from the ghost chilli dressing. The Pineapple Pork Curry with Baked Rice ($26) is from the recipe book of Grandma Maureen. 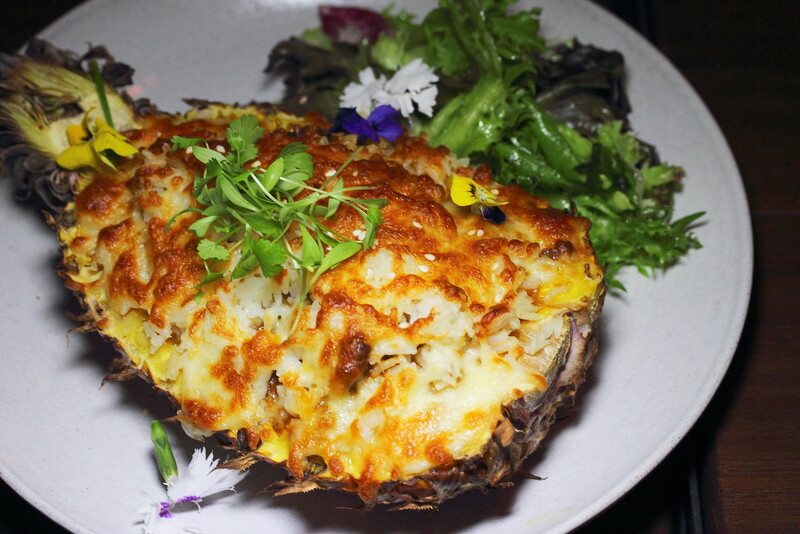 The traditional Eurasian pineapple curry comes with slow cooked pork belly and baked rice, served in a pineapple and topped with a melted cheese. The curry was some what new and unique to my taste buds. Initially I thought I tasted salted fish or anchovy in the curry gravy but it is actually belacan after checking with the kitchen. 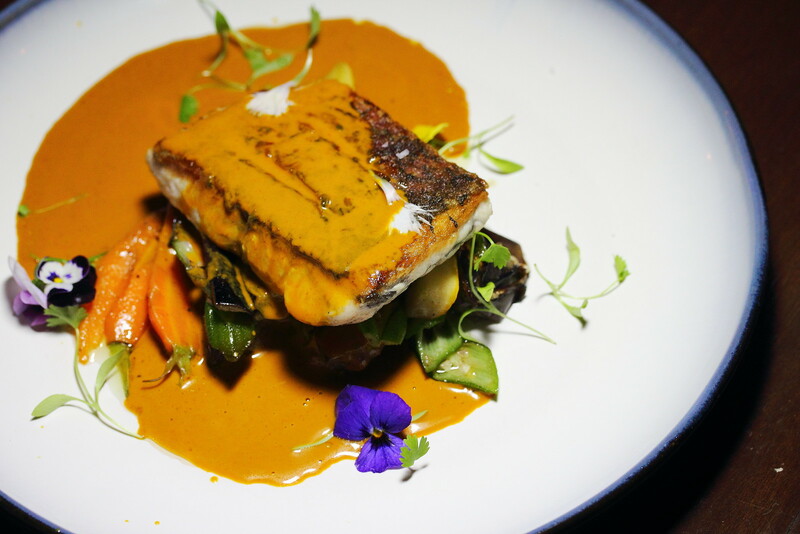 What blow the house down has to be the Seared Barramundi Fillet with Homemade Curry ($28). 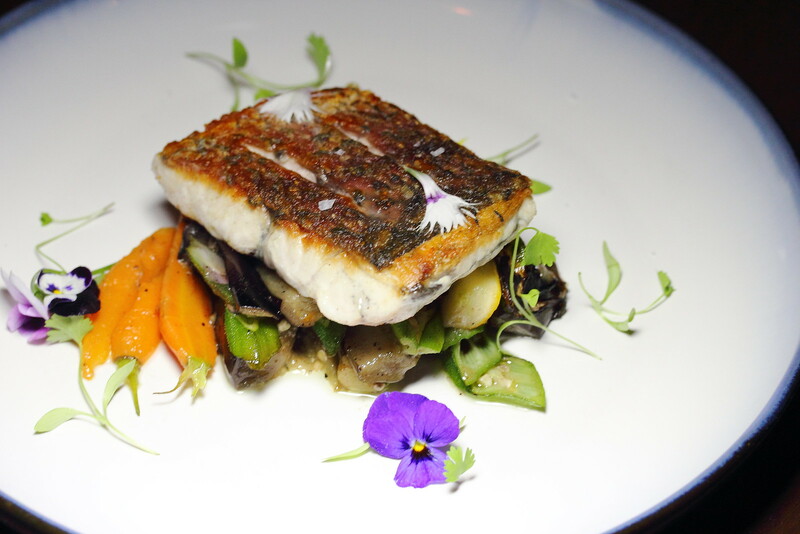 The pan seared barramundi is served in a traditional Indian fish curry, grilled okra and eggplants. It even comes with sliced bread to soak up the delicious Indian fish curry. This is like a deconstructed modernise fish head curry. A must try! There is only one dessert item on the menu and that is the Valrhona Chocolate and Pistachio Cake ($12). 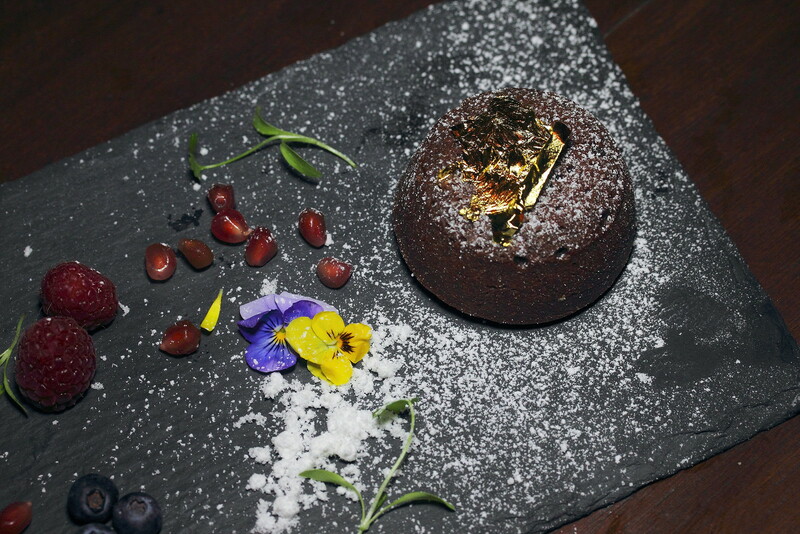 The decadent chocolate fondant cake served with a scoop of ice cream and fresh pomegranate. A decent chocolate cake with moist interior but the missing pistachio puzzled me. It also need to consider changing their ice cream supplier. For one month period, 18 April 2016 to 18 May 2016. When you walk in to CATO, let the person at the entrance know and quote "CATO Online" to receive a complimentary Tapas of the Day. The promotion is brought to you by the kind folks at CATO.